No electrical tap, No splicing, no crimping, but only a small screw driver, with this item you don´t need to solder! Easy, cheap and fine! * External diameter of the plug: 5.5mm. * Internal diameter of the plug: 2.1mm. * Dimension about: 38mm(L) x 14mm(W) x 13mm(H). 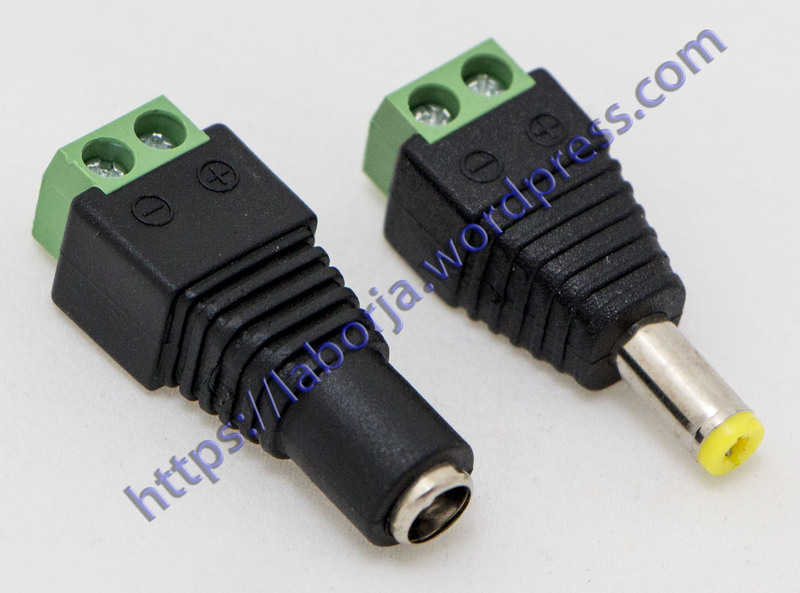 * 5.5mm x 2.1mm Female power plug connector. * No electrical tap, No splicing, no crimping, but only a small screw driver. * Easier for led strip or camera installation, save time and more securer cable connection.